Need a little jump start to your holiday shopping? Check out my “Holiday Stocking Stuffer” segment tomorrow on Better TV! Co-host JD Roberto and I run down all of the coolest gifts for kids of all ages, and on any budget. 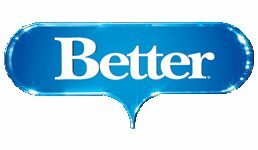 Thanks to the everyone at Better TV for making me feel so welcome! Check out the list below to see when Better airs where you live. You are currently browsing the The 40 Year Old Mommy blog archives for December, 2011.